Through dawn’s mist they appear, their giant monotone silhouettes rolling slowly from the jungle hills towards the lake. 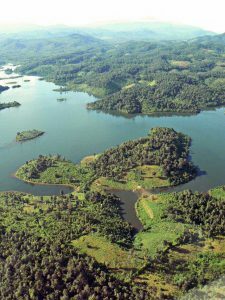 One by one, they enter the tranquil waters of Sayaboury’s Nam Tien Lake to bathe. They are joined in near silence by other members of the herd. The gentle procession’s stillness is broken only by the distant sound of the calves’ trumpeting. 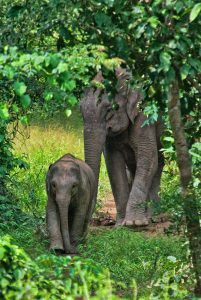 Laos, formerly known as The Land of a Million Elephants, has seen its elephant population decline due to loss of forest habitat and illegal wildlife trade. Created in 2011, by ElefantAsia NGO co-founder Sébastien Duffillot, a French elephant conservationist who has been working and living in Laos for 20 years, the Elephant Conservation Center (ECC) is taking steps to reverse this trend by bringing awareness to the plight of elephants, as well as offering an opportunity for a respectful visit to see these great beasts in their natural environment. 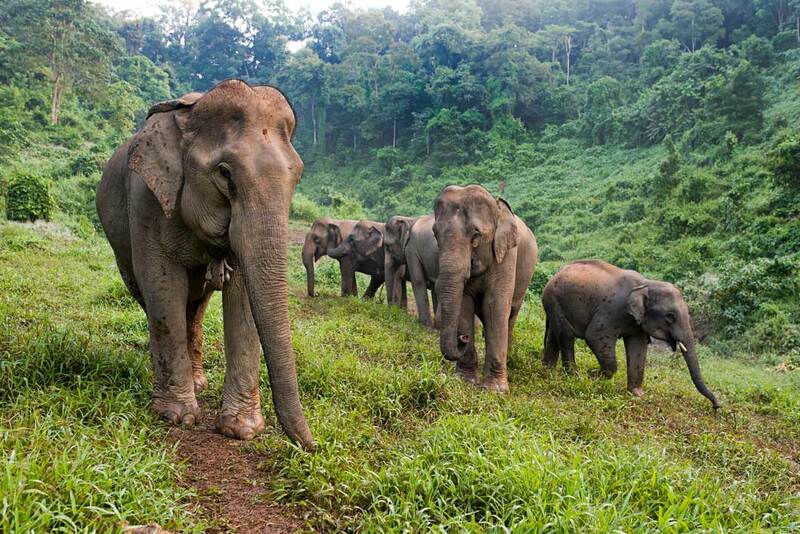 Elephants at the Center are here to rest, either waiting to give birth or recovering from an exhausting life in logging or mass tourism industries. Do not expect to see package tours of people riding or bathing with elephants all day long – here, elephants are simply elephants! Overall, the Center is a place that focuses on animal welfare, observation and learning. There is no interaction with elephants, as one of the goals here is to avoid close contact with humans, which would affect their natural behaviour. As the ECC hopes to be able to release these elephants into the wild, eventually, it is important that they enjoy being elephants without being subject to unnatural activities and encounters. Visitors can observe elephants from a number of stations, one of which is a tree-top platform set in the forest surrounding the Socialization Area. 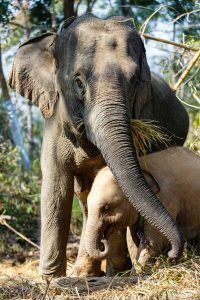 The Center is home to the only elephant hospital in Laos, where biologists can answer all of your questions about the life cycle of these majestic creatures. 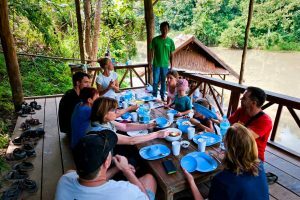 Other activities include visiting an elephant museum, kayaking on the breath-taking Nam Tien Lake, and helping take elephants into the lush forest at night to their sleeping grounds. 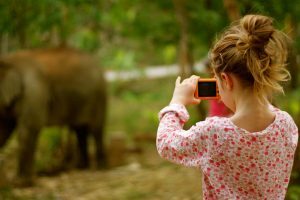 The Elephant Conservation Center is a place where you can get up close with the elephants in their traditional natural environment. 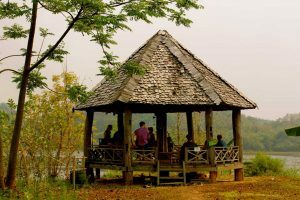 Away from mass tourism venues, the Center offers a holistic approach to the conservation of Lao elephants. This is not just another elephant camp, as the ECC does not relocate elephants into tourist areas. On the contrary, it takes you to them, in their natural environment. Free minivan (approximately 2 hours) every morning from Luang Prabang, with prior booking at ECC office, Mekong Riverside, Ban Pakham, Luang Prabang.